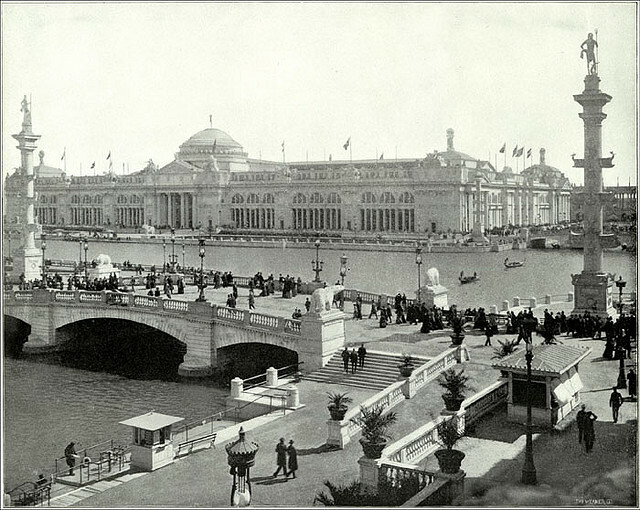 Between May and October 1893, nearly 26 million visitors flocked to Chicago to visit the World's Columbian Exposition, which commemorated the 400th anniversary of Columbus's discovery of the New World (dedication ceremonies were held in October 1892). Forty-six nations participated in the exposition, located on more than 600 acres in Jackson Park that featured canals, lagoons, and 200 buildings built specifically for the event. (The structures were designed to be temporary—the only two still standing are the Palace of Fine Arts, which from the time the exposition ended until 1920 was the home of the Field Museum, and the World's Congress Auxiliary Building.) Here are a few photos of what visitors to the exposition would have seen. The Agricultural Building was part of the White City—where the structures were clad in white stucco and illuminated by electric lights—and was designed by architect Charles Follen McKim. Inside, visitors could feast their eyes on a Liberty Bell made of fruit. 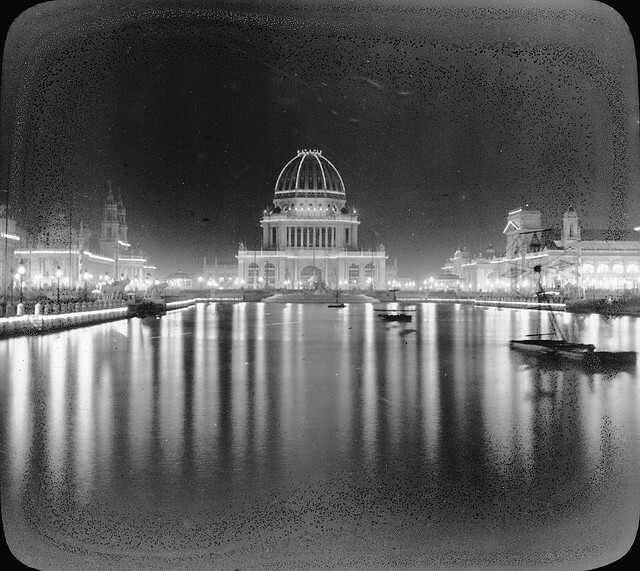 From the 1893 book Columbian Gallery: A Portfolio of Photographs of the World's Fair by The Werner Company. A replica of Columbus's ship, the Pinta, which sailed from Spain (along with replicas of the Nina and the Santa Maria) for the exposition. According to a 1992 article on the history of the replicas in the Orlando Sentinel, after crossing the Atlantic, the ships were towed through the St. Lawrence River and the Great Lakes to Chicago. Also available for visitors to the exposition to explore: A replica of a Viking ship. 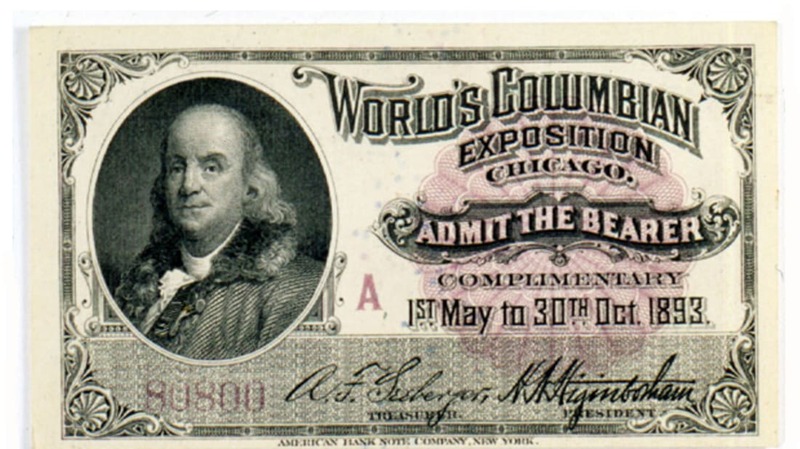 The exposition's Midway was more about profit than learning: This is where visitors went to check out a small-scale replica of Ireland's Blarney Castle, ride the Ferris Wheel, pay a visit to Old Vienna or a Turkish Village, and watch performers—including Little Egypt, a famous bellydancer, and a 19-year-old named Ehrich Weiss, who would later rise to fame as Harry Houdini—demonstrate their skills. 4. "The Genii of Electricity." A central part of General Electric's exhibit—itself the centerpiece of the Electricity Building—was the Edison Electrical Tower, which was 82 feet tall, strung with 18,000 lights, and, when illuminated, gave "condensed bursts of sunlight." From Columbian Gallery: A Portfolio of Photographs of the World's Fair by The Werner Company. The Grand Basin at night. 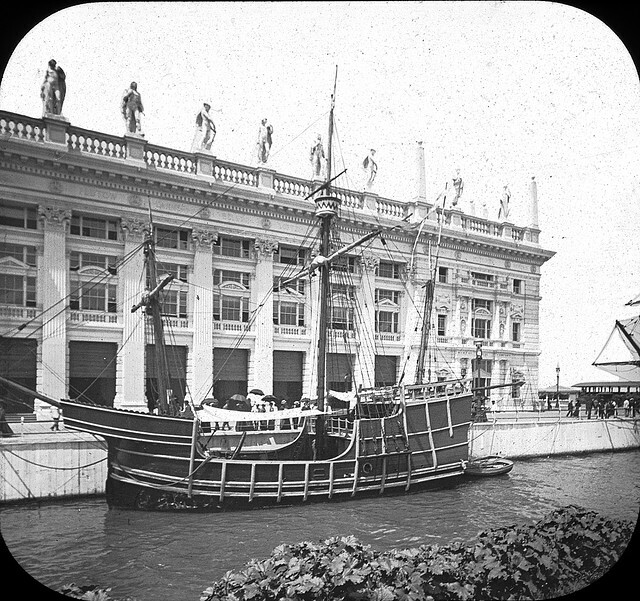 In the center of the photo is the Administration Building, which was the only one of the so-called "great buildings" that didn't house any exhibits. It was designed by architect Richard Morris Hunt and was strictly a facility for fair managers. 6. "England's Grand Old Ax." 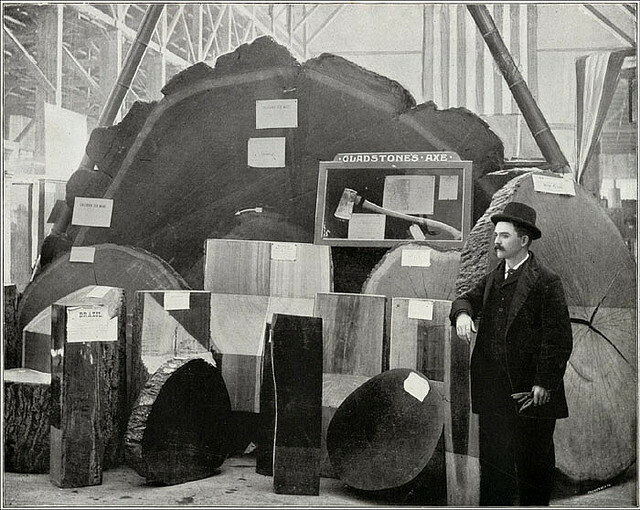 This man is in the Forestry Building, standing near several large pieces of wood, including a wedge of a California Redwood tree. All of the native species of trees were represented in the building, which also had exhibits featuring wood products from around the world. 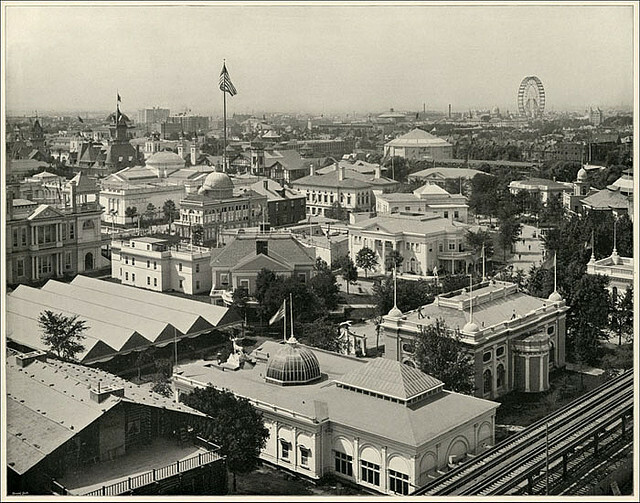 From Columbian Gallery: A Portfolio of Photographs of the World's Fair by The Werner Company. 7. "Ferris Wheel, and Bird's Eye View of Midway." 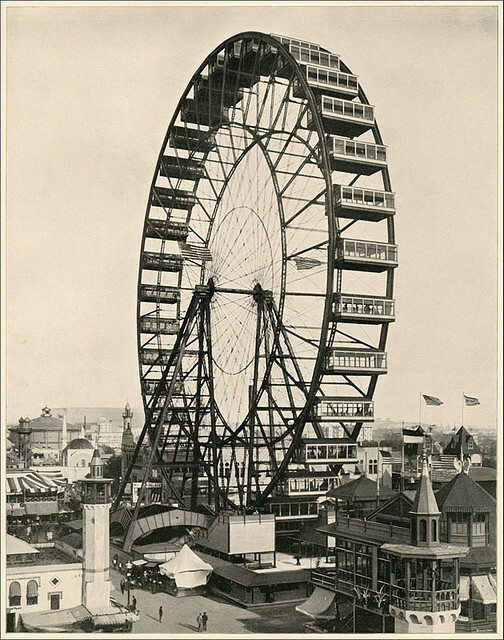 The 264-foot-tall wheel was designed by engineer and bridge builder George Washington Gale Ferris Jr. 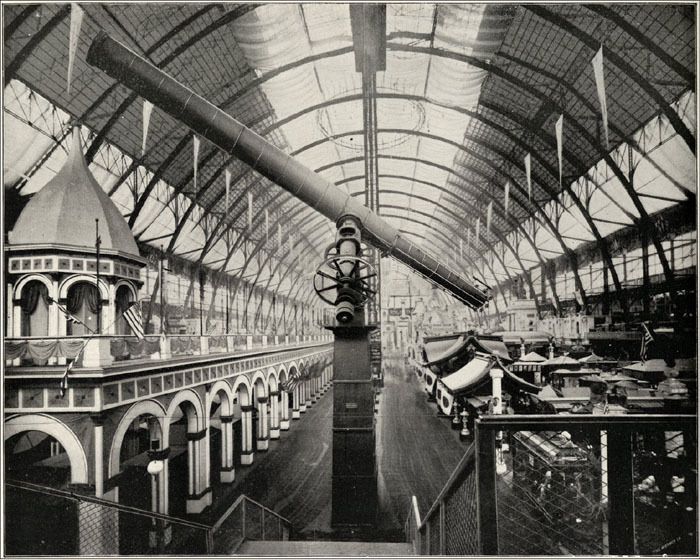 It was the centerpiece of the Exposition and opened on June 21, 1893. Each ride cost 50 cents. 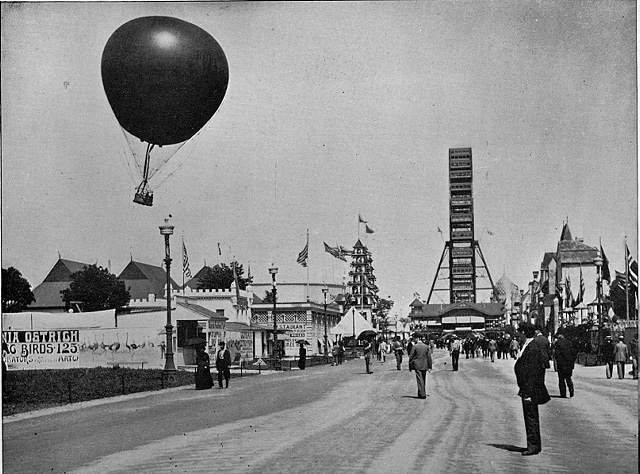 After the fair, it was dismantled and reassembled twice, first in the Lincoln Park area of Chicago, and then for the 1904 St. Louis Exposition; it was demolished in 1906. This photograph by William Henry Jackson originally appeared in The White City (As It Was). 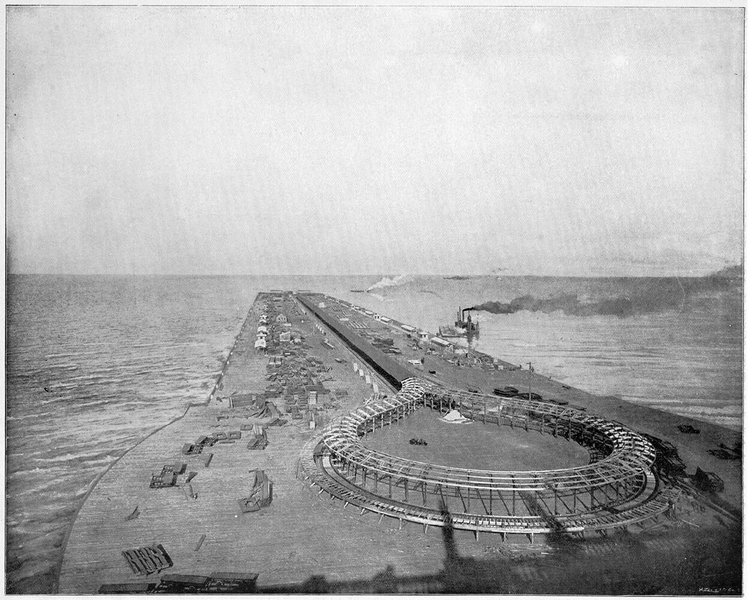 The Ferris Wheel wasn't the only technical marvel at the Columbian Exposition: It also featured the world's first moving sidewalk, which ran down a 3500-foot pier; visitors could either have a seat for the ride or walk. The mounting and tube for this 43-foot high, 50-ton, 40-inch-telescope—at the time the world's largest, it was destined for the Yerkes Observatory in Williams Bay, Wisconsin—sat in the Manufactures and Liberal Arts Building and drew a number of curious visitors. When a fire ripped through the exposition grounds in November, the telescope was put at risk, but the display was dismantled and all but the five heaviest pieces were moved, saving it. 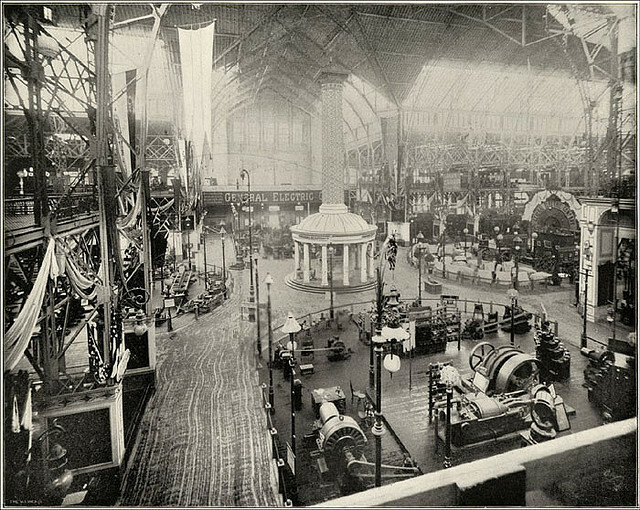 This photo appeared in Columbian Gallery: A Portfolio of Photographs of the World's Fair by The Werner Company. 10. State Buildings, from North East. Each state had its own building at the fair; you can see them all here. This photo, taken by William Henry Jackson, appeared in The White City (As It Was). 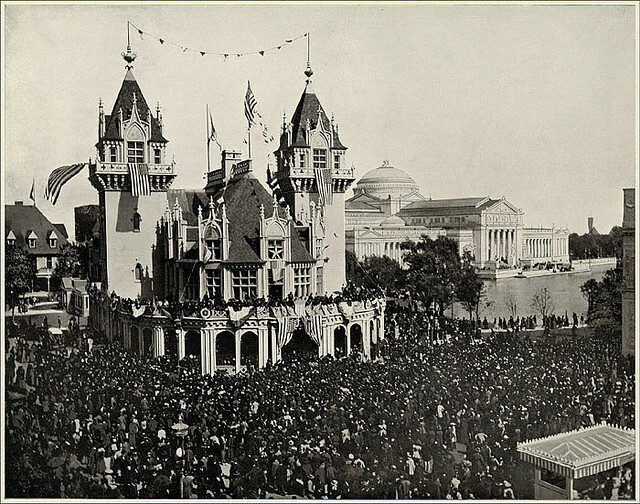 It's one thing to know that the Exposition drew 27 million visitors over the course of its six-month stay; it's another to see the crush of people on the grounds. In the background is the Palace of Fine Arts. This photo appeared in The White City (As It Was). For more photos of the exposition, check out this book on Project Gutenberg, and the Flickr pages of the Field Museum and the Brooklyn Museum.